I’ve just passed the two-year mark in L.A., thus far abstaining from those things called flip-flops, something I often find to be a minor personal victory. Except when I’m at the beach or the pool, which, having grown up on a lake, is perhaps actually less often than when I lived in Michigan. Flip flops are more of a practicality than anything else, especially when you live in a climate such as SoCal’s. I should probably invest in some. But not owning sandals is just a weird personal style choice, one I notice more and more is strange because, well, it’s California and it gets hot. And now that winter is over, sandals seem to be everywhere. My feet are ugly–misshapen, bent, twisted, flat, with teeny tiny bones sticking out here and there between toes, barely noticeable to most but painfully obvious to me. A few of the nails are barely still in existence. These kinds of things happen when you spend a good part of your youth (when your body is still growing and changing) twisting and twirling in/on shoes made of cardboard and glue. My reward for all my hard work is that now my feet seem to spill out from sandals–the non-existent arch falls inward, over the edge of the sole, my feet appearing much wider than they are as they seem to spread and seep into the ground. Me not wearing sandals is a favor to everyone else as much as it is to myself. The problem with problematic feet that spread and seep and poke is that they cannot be contained. And sooner or later, you have to give in to the ugly and let your toes be free (plus, that shoe sweat is not cute in the summer). I’m giving in. 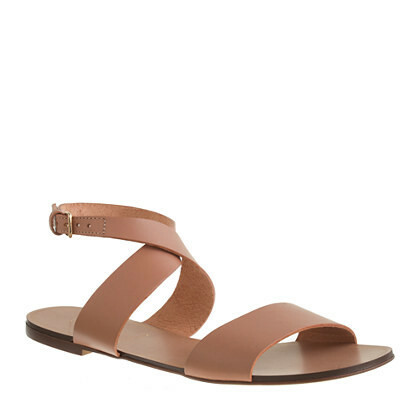 I’m waving my white flag at Valley heat and restrictive pointe shoes and saying, “Ugh, fine.” Sandals it is. 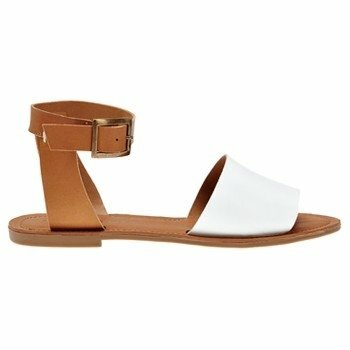 When it comes to sandals there are some styles you see year after year (we need to STOP with the gladiator thing; lace-ups still have some shelf-life); but this year, the minimalist, modern trend seems to be beating out the traditional strappy sandal. 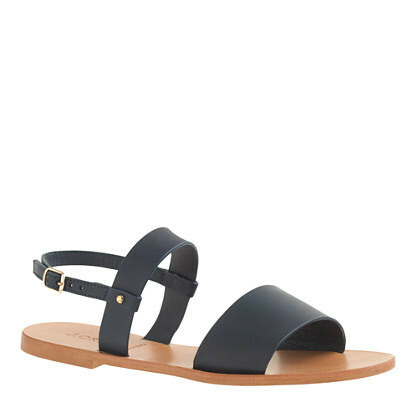 You can go for modern or normcore (read: Birkenstock), though my taste tends to be the former. As far as straps are concerned, wide beats skinny (ankle straps are now more like ankle cuffs) and fewer is beating more. Neutral colors (black, camel, white) and color-blocking reign. 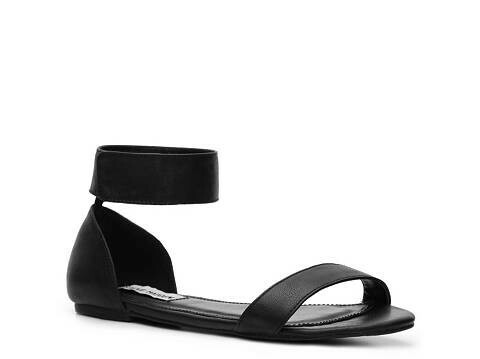 I’m all about minimalism–taking it back to basics, without all the straps and cut-outs and laces–but if I’m going to be honest, those wide straps across the toes really do hide my dancer bunions. Oh, functionality–how sweet you are.